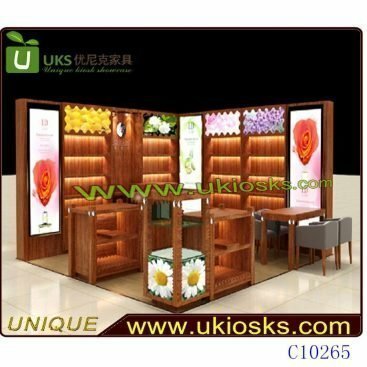 High quality customize wooden fruit juice bar, welcome you to order! 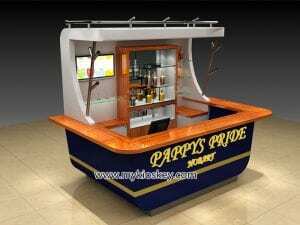 In fact,for juice life bar, we already have done many designs.Today the below one, it is very unique just like one boat,customer use it to mainly sell fresh juice, wine. Also, we can use it to sell other drinks. Basic information for fruit juice bar . Accessories: wires, switch and socket,lock and keys, acrylic logo, LED light and so on. 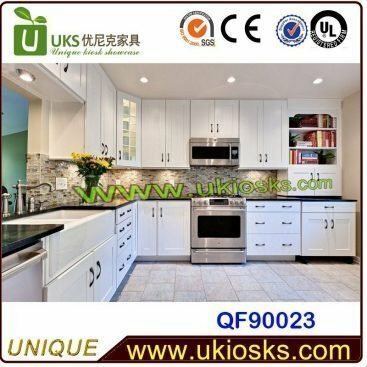 Note: we can choose materials as customers’ requirements. 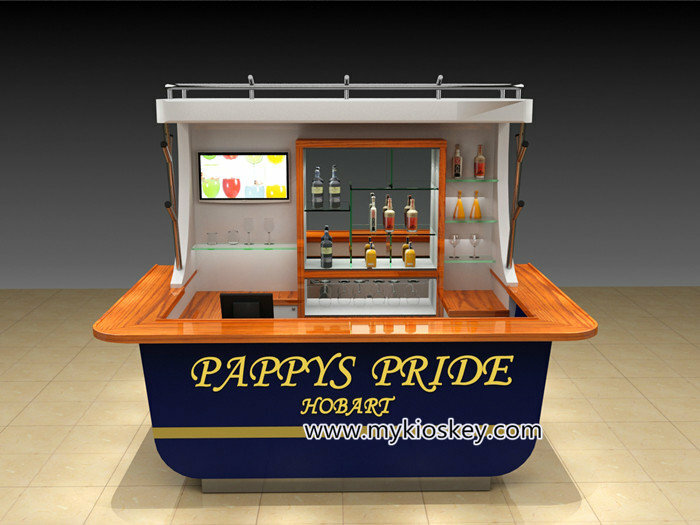 fruit juice bar 3D MAX design show. Note about design: Before design, we need know the place size and location place picture in mall.Then we can know where is the kiosk and how look its around. And need customer to provide machine list with sizes as well. 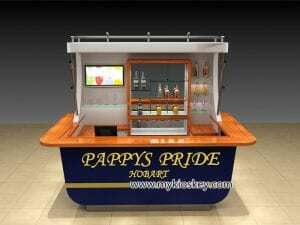 Then we can add these machine equipment in 3D MAX design, and to show you reasonable layout.So for one new juice bar mall kiosk, 3D max design is real very important. 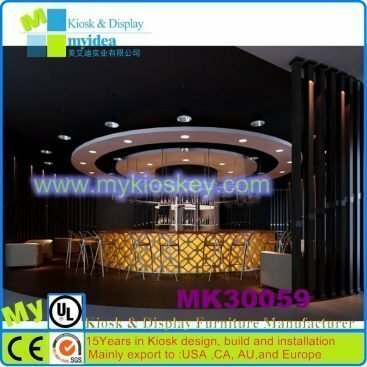 In order to serve customer better and build a nice cooperation, we need charge 200usd – 500usd (depends on size) as design deposit, but will refund after order. 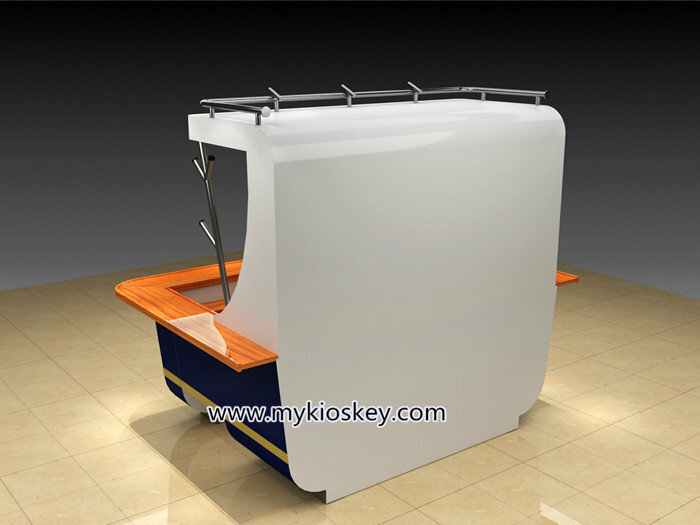 Easy to Assemble and Disassemble for fruit juice bar kiosk. The assembly steps are scientifically optimize. Spare parts are standardized and modularized. About our price and terms of payment. We are a factory. Usually we quote customers EXW price. 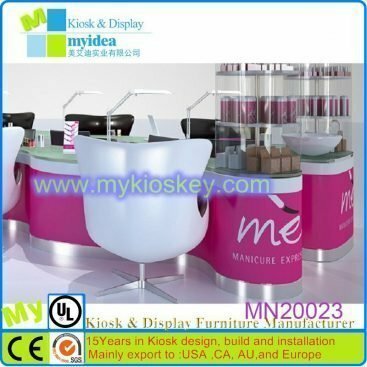 As a professional manufacturer in this field of making cell phone display counters and display showcase. 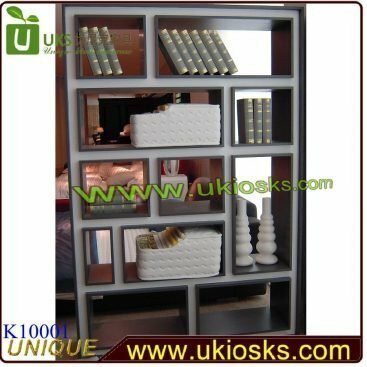 Our price depends on size, style, material and customers’ special requirements, which is competitive and reasonable.